This week The Museum presents some S.H.R. favorite Qingxit that tell little stories related to food (specifically different cakes) as part of the Analog Pixels collection. It’s a Bug Bunny favorite. 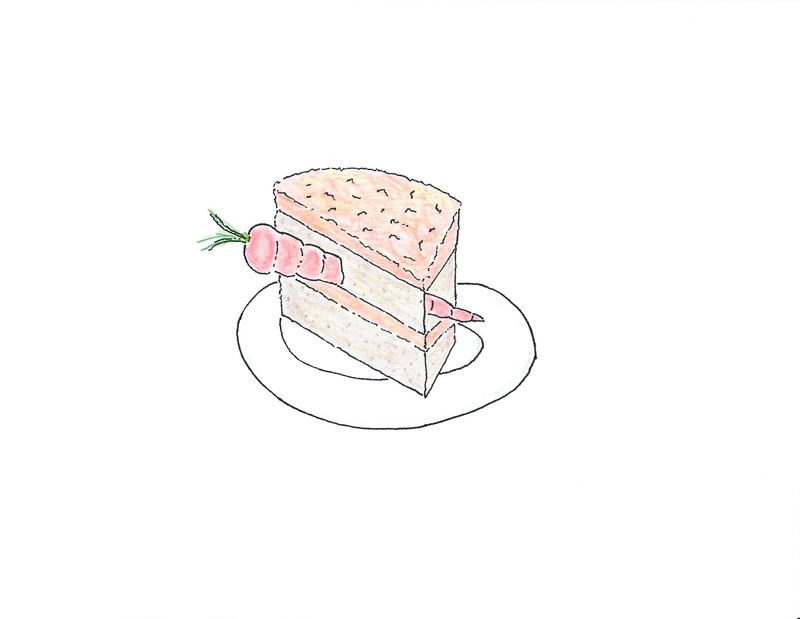 The carrot cake (by S.H.R., pen and ink and pencil on paper) was inspired by Q2427, 42.533657 -83.14595 Holy Bugs Bunny!!! Now this is carrot cake!! !